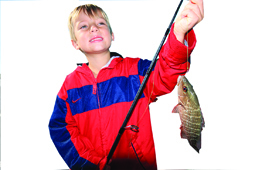 On Saturday, Jan. 21 Lee County Parks & Recreation and the Boca Beacon will sponsor the latest installment in their youth fishing tournament series from 9 to 11 a.m. on the Boca Grande North Fishing Pier. Children ages 15 and below can participate in the tournament at no cost. Just bring a pole and tackle, and tournament coordinators will provide the bait and many awards. All children need to be accompanied by an adult at the tournament. Snacks are not provided, so make sure you bring anything your family needs to eat or drink. Prizes will be awarded in several age categories, and a raffle will be held at the end of the tournament. The Boca Grande North Fishing Pier is located at the north end of the island. Just follow the signs. Call 964-2564 for more information. Newer PostLove Lines are back; pitch your woo here!